The story of HMS Seraph’s war is one that certainly deserves far more attention than it has received if not for it’s contribution to the war against Nazi Germany then for the almost comical story of the events that occurred leading up to and on the night of November 5th 1942. HMS Seraph was an S-Class submarine designed for operation in the shallower and more restricted waters of the North Sea. It was this attribute that made the class ideal for insertion and extraction missions of Commandos, spies and the odd defector. The story of Operation:Kingpin begins like many a war story with HMS Seraph being selected for a highly classified mission. In this instance it’s mission was to travel to a point 20 miles to the east of Toulon in Vichy France. There they would collect French General Henri Giraud, his son and three of his former staff officers. Giraud’s story too is a fascinating one. Giraud was part of the French Army’s upper echelons when war broke out and was captured when the northern half of France came under German occupation while the southernmost part of the country became the often despised German collaborationist “Vichy France”. He was interned at Koenigstein Castle near Dresden only to plan a classic escape using twine and torn bedsheets to climb down the castle walls. He then spent days walking overland towards Switzerland where he revealed himself to two Swiss soldiers and soon he was transported to Vichy France where he attempted to persuade them to resist the Germans. His efforts fell on deaf ears there for fear of the Germans abolishing their truce and invading Vichy France as well but he knew there was a chance he could convince the French forces still in North Africa to support him and the Allied cause. He therefore made secret communications with General Eisenhower as Operation:Torch, the Allied landings in North Africa, loomed on the horizon. 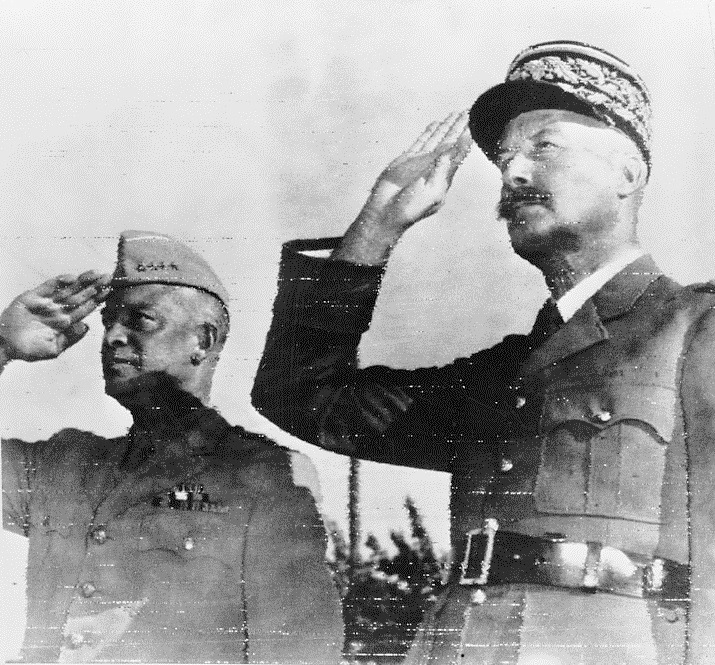 Eisenhower needed Giraud in order to garner the support of the French in North Africa and a plan was therefore concocted to get Giraud out of Vichy France. There was just one problem; Giraud point blank refused to have any dealings with the British. This was more than the traditional case of Anglo-French rivalry/hostility. Many in the French government of 1940 blamed Britain for not being committed enough to defending France from the Germans and that air of blame remained after the fall of the country. Worse was to come when the Royal Navy attacked the French fleet at Mers-el-Kébir after the French armistice with Germany was signed. The attack was lead by the battleship HMS Hood and was intended to prevent the French warships from being requisitioned by the German Navy but resulted in the deaths of over 1200 Frenchmen. British submarines had also taken to sinking Vichy French merchantman that were transporting supplies to the Germans in Africa even though their crews had little choice but to obey their orders. Giraud had every reason therefore to hate the British and Eisenhower knew that the Royal Navy submarine HMS Seraph was going to symbolize everything that the French General hated about them. Eisenhower was presented with a real headache as a result. There were no suitable US Navy submarines for nearly 3,000 miles and there wasn’t time to wait for one so it had to be a British submarine. But if Giraud saw he was being taken aboard a Royal Navy submarine he may refuse to go and as such the worst case scenario was that Allied landings in North Africa might face Vichy French opposition as well. It would be Winston Churchill himself however who would come up with a cunning plan to solve Eisenhower’s problem and appease Giraud. 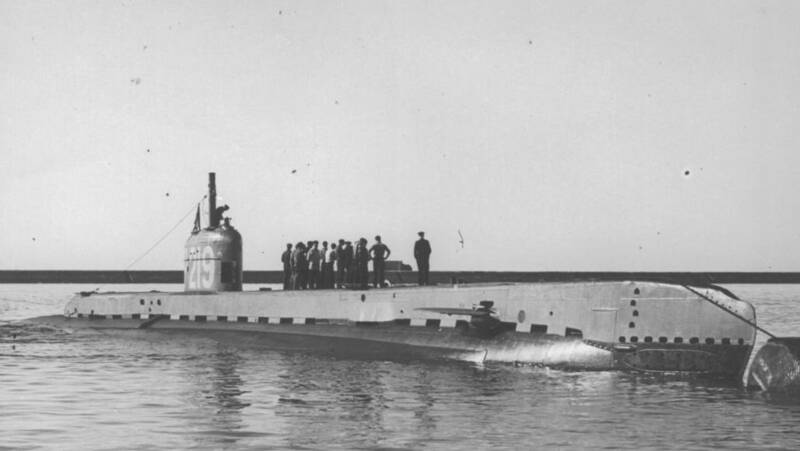 They would have to make Giraud believe that he was being taken aboard an American submarine and so for that His Majesty’s Submarine (HMS) Seraph became the USS Seraph by flying the US Ensign. Of course it was going to take more than a simple flag change to make the rouse work. First efforts were made to ‘de-British’ the submarine wherever possible so things such as the picture of the King were hidden away. While the submarine may have looked less British the crew were another problem entirely. Cockneys, scowsers, toffs, Scots, etc – none of them sounded American. They were therefore ordered to watch American movies and attempt to imitate the accents. Soon the whole crew were sounding like James Cagney, Clark Gable and Humphrey Bogart. The plan was to have the crew talk as little as possible using these fake accents whilst around Giraud to reduce the chances of discovery but he was going to have to speak to someone quite often and that someone was going to have to be American. Enter Captain Jerauld Wright of the US Navy. Wright was selected to travel aboard the Seraph posing as the “captain of the USS Seraph” and he would be Giraud’s main contact. The actual running of the ship however was left to HMS Seraph’s actual commanding officer Lieutenant Norman Jewell. 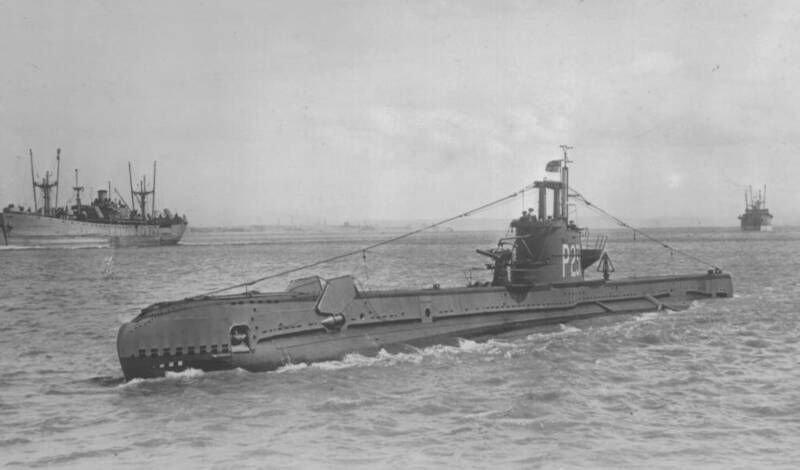 Therefore HMS Seraph was not only a submarine with something of an identity crisis but it was also the only warship with two captains (although ultimately final authority fell to Jewell). Alas the preparations made by the crew would prove to be in vain. On November 5th the “American” crew picked up Giraud, his son and his aides off the Toulon coast and when Giraud seemed suspicious Wright himself blew the whistle on the deception. Giraud must have swallowed his discontent for the greater good however for he decided to remain aboard the submarine and continue with his mission. Two days later Giraud and his entourage were transferred to a PBY Catalina flying boat for his meeting with Eisenhower. This amazing story has largely been forgotten in the annals of naval history largely because of HMS Seraph herself and perhaps the greater contribution the vessel played in the later stages of the war. As part of Operation: Mincemeat Seraph threw the dead body of a young man in the sea off Spain dressed in a Royal Marine officer’s uniform and carrying documents that outlined a plan for the invasion of Greece and Sardinia by the allies. In reality the allies were going to invade Sicily. The man was picked up by the Spanish and the documents were handed to the Germans who believed the man had been a courier who had died in a plane crash. As a result of this they diverted forces away from Sicily thus contributing to the success of the landings there. HMS Seraph therefore deserves to be remembered as one of the great warships but like the service it operated under its exploits remained silent. This entry was posted in Navy, RN History and tagged France, history, Naval, navy, royal navy, Submarine, Submarines, United States Navy, US Navy, War, World War II. Bookmark the permalink. Given Giraud’s military background, he appears more like a petulant child than a soldier. I believe that as one opposed to the Germans, he should have recognized the necessity of the British attacks on the Vichy-controlled French Navy and merchant ships supplying German forces. I agree but thats from an objective point of view. I am not trying to vindicate Giraud but at the end of the day his country had been overrun and now his allies were killing his fellow countrymen. The psychological damage must have been great but Giraud did come through in the end. I know you’re not trying to vindicate Giraud’s attitude. I would change your statement “his allies were killing his fellow countrymen” to read “those who were fighting the Germans were killing his fellow countrymen who, by surrendering to the Germans, were now assisting them.” Yes, he did come through in the end. Very interesting article about a submarine with two identities. Even now, France still has to come to terms with the defeat and capitulation in 1940, the hardship, the humiliation suffered, the collaboration by some with the Germans. This was told to me by a friend whose father was a soldier at Dieppe in 1942. He now resides in France and he has done quite a lot of research and met people who were witness to what had happened during those years. French families still pay homage to the fallen. I know one family who has taken care of Canadian soldiers’ tombs killed in their village on June 7th, 1944. This is passed from one geneation to another. It says a lot about coming to terms with events that happened 70 years ago. Many people have such gratitude for the men who came to save them and die far away from home. The Dutch have also that attitude as well as Belgians. Thanks for writing this story about Giraud. What an amazing story. I much enjoyed this co-operation of the various nations involved. I count a French general would have understood a word of the Scouse or Cockney crew anyway. I can’t reblog a post twice.